The controversial issue of using surveillance in care homes was debated at an RCN ethics seminar in Birmingham on 15 July. Abuse by staff working in nursing homes has been exposed through the use of covert filming by relatives and undercover reporters. But more than three quarters of members attending a debate at RCN congress in 2015 backed a resolution urging RCN council to oppose the use of surveillance equipment. 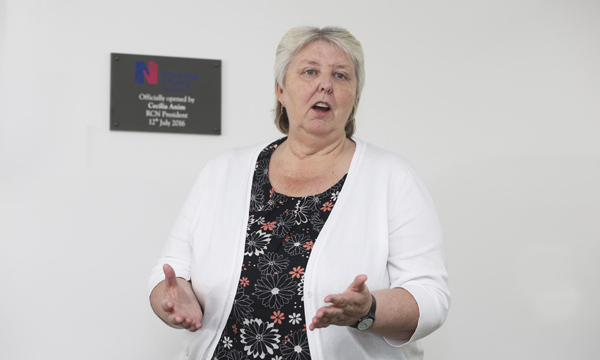 Ann Willey, a registered nurse and home manager of Bramley Court care home in Birmingham, told the ethics seminar that care had improved since cameras were installed at the home last year. Cameras have been installed in residents’ bedrooms, lounges and communal areas, but not in bathrooms. They can be switched off if residents or their families prefer, but so far no residents had requested to do so, according to Ms Willey. Footage is monitored remotely by independent health and social care professionals, who give feedback to Ms Willey on good practice. ‘The cameras have most definitely improved care,’ Ms Willey said. ‘Staff have learned from bad practices and how they relate to residents. A 2014 survey by care home provider HC-One found six out of 10 staff would welcome CCTV cameras in residents’ rooms. The consultation came after a 2014 BBC Panorama programme which exposed how an HC-One resident had been left to cry for help 300 times in the space of an hour. Also attending the seminar was Mervyn Eastman, president of the Practitioner Alliance for Safeguarding Adults. He said he was conflicted about using cameras and questioned whether they could breach residents’ privacy and human rights. But he concluded he would support the use of cameras with safeguards to protect his own 87-year-old mother, who has Alzheimer’s and vascular dementia.